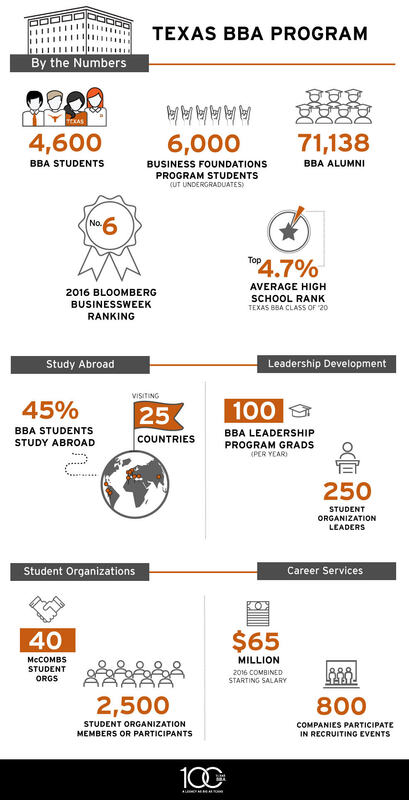 As great as the Texas BBA Legacy has been, our future is even brighter. We are attracting some of the best undergraduates in the nation, and the popularity of business as a major continues to provide us with a tremendous pool of talent. At the same time, we have become one of the leading business research institutions in the nation, and our students have the opportunity to learn from those who are pushing the boundaries of their fields, while also learning from highly experienced practitioners. But the special sauce that sets us apart? It’s the place where we come from. Texas is a place where people know how to work, and how to work together. Even though they are “scary smart,” our BBA graduates are known as workers who aren’t afraid to get their hands dirty and who can be counted on to bring value to a team. 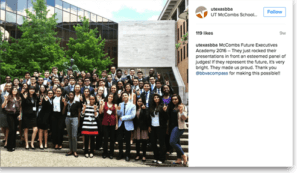 Take a look at the McCombs of today – and tomorrow. You will see our roots are deep, and our future is unbounded!